A "special treat" for Halloween! I'm officially kicking off the holiday spirit with this SPECIAL PROMOTION!!! Book now for 2015 e-design services and enjoy a 40% discount on current e-design package rates. 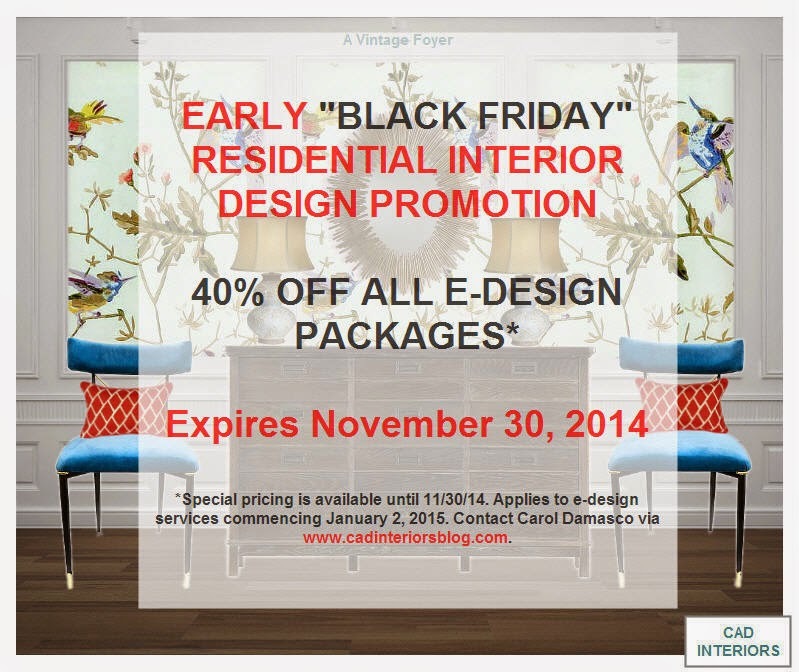 This promotion expires on November 30, 2014. Don't wait!! !